Earth Day is a day we say thank you to Mother Earth. We celebrate her for all that she does for us and commit to respect her more. Earth Day is observed on April 22nd. On Earth Day, people from all over the world come together to celebrate mother earth. Earth Day can also be a day to renew your commitment to take better care of the Earth. Earth Day is about celebrating what the Earth does for us and discovering new ways we can help the Earth. 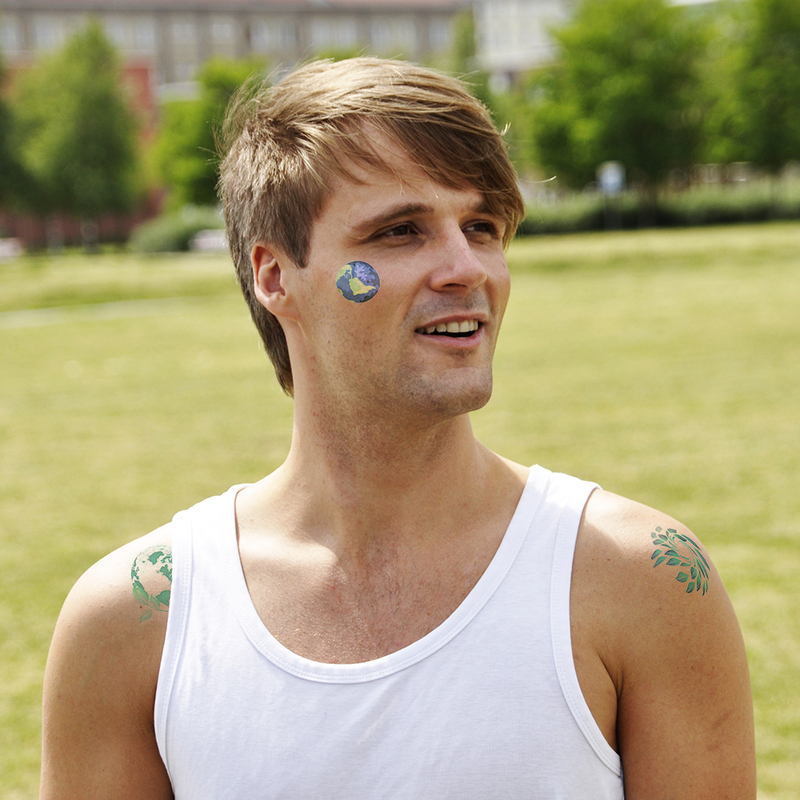 What better way to show the earth you care than by wearing Earth Day Temporary Tattoos? Here at TatooFun.com we are committed to taking care of this planet. That’s why we make all of our temporary tattoos with FDA approved, skin safe vegetable oils. This way we aren’t flushing chemicals down the drain and your skin isn’t harmed. We also make all of our temporary tattoos with recyclable paper backing and plastic covering. So when you are done applying your temporary tattoos you can put the paper backing and plastic covering in the recycling bin. We take pride in the fact that our temporary tattoos are eco-friendly. 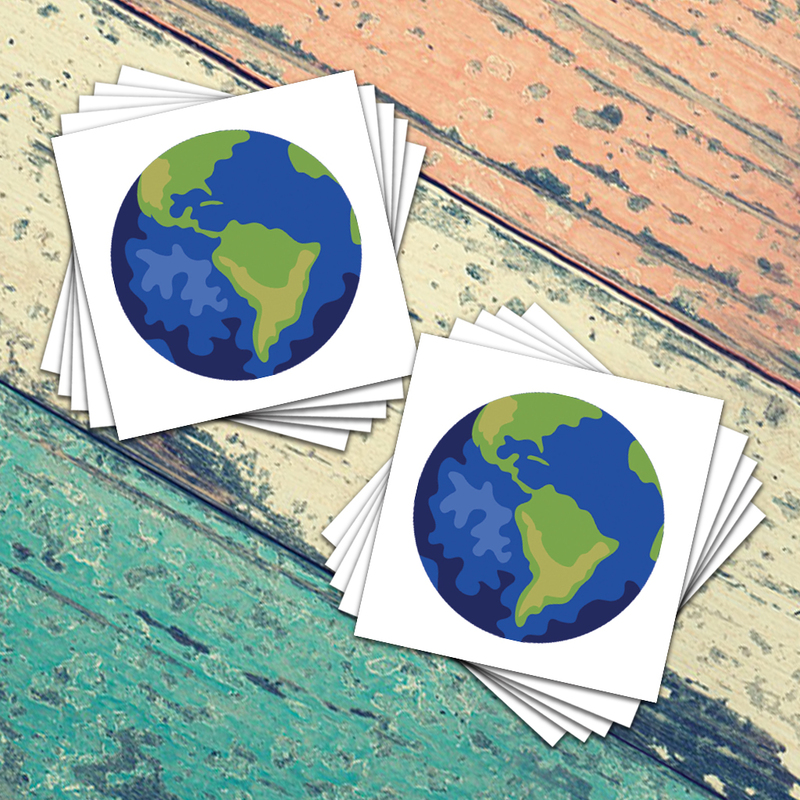 To celebrate the Earth this year, consider purchasing our Earth Day Temporary Tattoos Pack. This pack features 10 Earth Day Temporary Tattoos, so you can wear them all or hand some out to friends. If you do choose to give them out, be sure to remind your friends to recycle the backing and plastic from their Earth Day Temporary Tattoos. Help Say “Happy Earth Day” to Mother Earth and wear Earth Day Temporary Tattoos on April 22nd. We also carry an Earth Day Variety Pack of Earth Day Temporary Tattoos. These temporary tattoos feature a selection of symbols of our Earth. First, this pack has an Earth temporary tattoo. This Earth Day temporary tattoo symbols the very essence of the day-the Earth. Wear this Earth Day Temporary Tattoo to show your support for our dear planet. Second, this pack has a spiral leaf design. Wear this temporary tattoo to show how much you love plants. After all, without plants, none of us would be able to breathe. Third, this pack features a butterfly tattoo. This tattoo symbolizes a love of all the creatures on the Earth. While wearing this Temporary Tattoo you can show that as humans we need to create space for these creatures. Finally, this pack of Earth Day temporary tattoos features agreen earth. Wear this temporary tattoo to symbolize that you have “gone green” and are doing your best to take care of our planet. 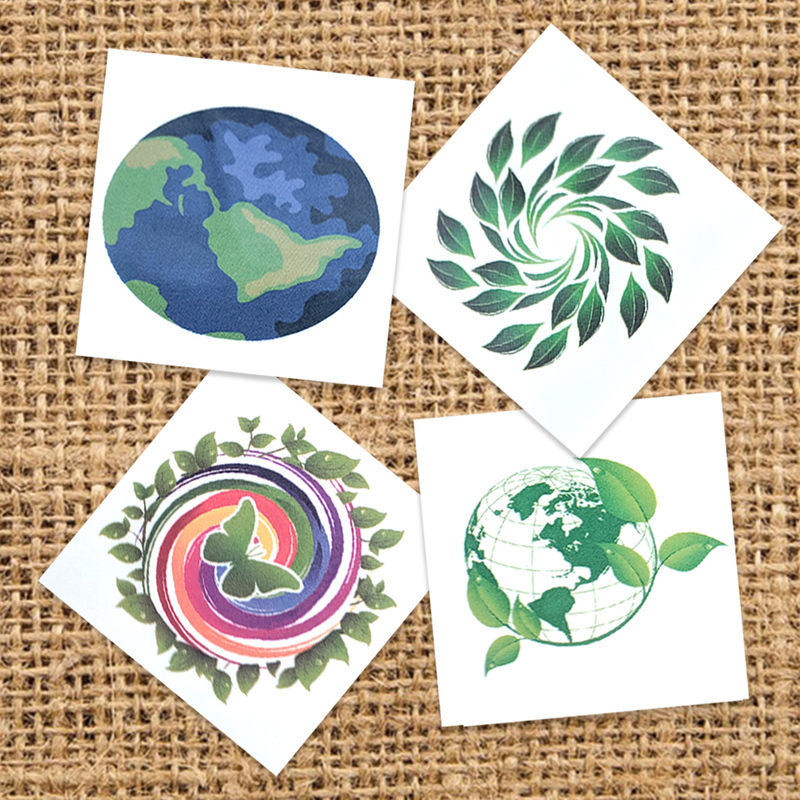 You could also wear all 4 Earth Day temporary tattoos featured in this pack! There are 12 of each temporary tattoo in the pack. Thus, you may want to consider handing some out on Earth Day. Another way to show your support this Earth Day is to wear nature-themed temporary tattoos. Consider purchasing our Botanical pack of Earth Day temporary tattoos. This pack features 4 temporary tattoos, each featuring a botanical plant. 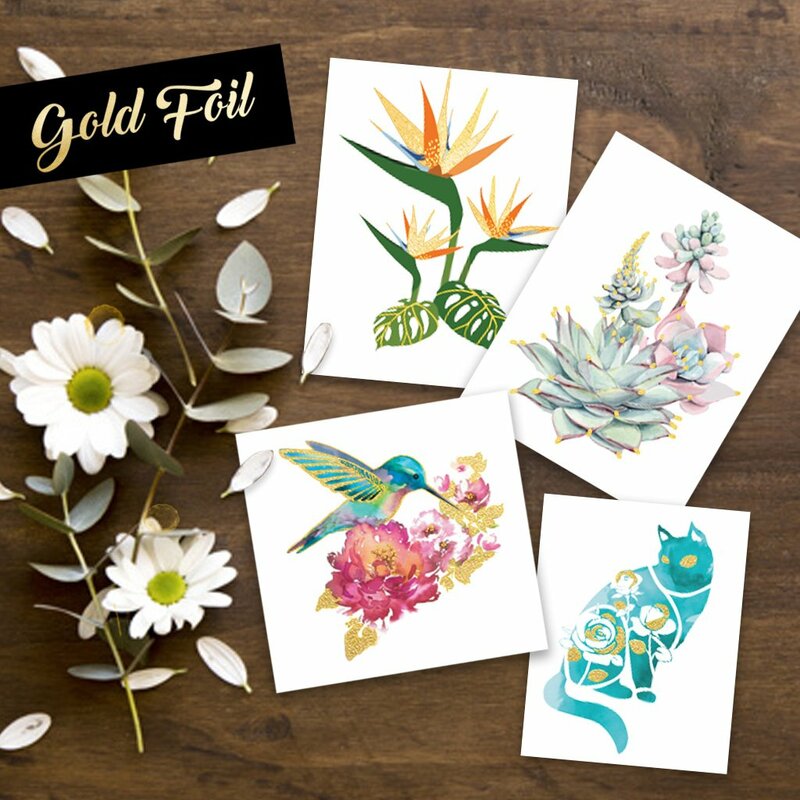 Each of these temporary tattoos also has a beautiful mixture of gold leaf and full color. The bling in each temporary tattoo is sure to impress your friends. Look for something custom this Earth Day? TattooFun.com also has custom temporary tattoos available for purchase. If you are looking for a custom Earth Day temporary Tattoo for your Earth Day Event, consider custom temporary tattoos. 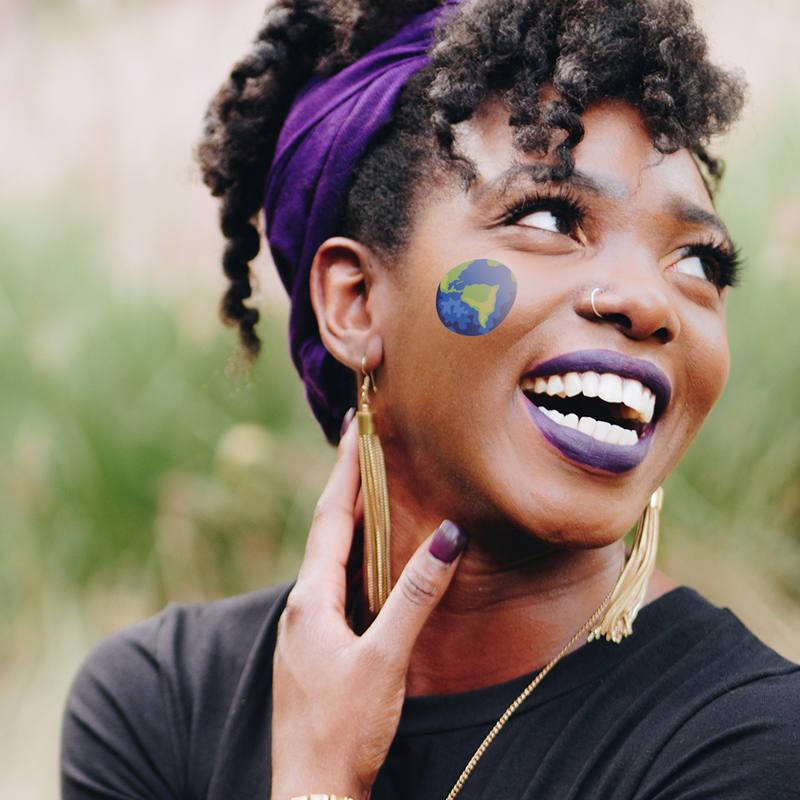 If you are struggling to come up with a design for your custom Earth Day temporary tattoos, our graphics team can help. A small design fee may apply, but we'll help your custom Earth Day temporary tattoos become a reality. All of these Earth Day temporary tattoos are easy to apply, and only require a little water! Simply put the temporary tattoo against your skin and apply a damp cloth to the backing for 30 seconds. The best part of temporary tattoos is that they stay on for days. However, you can remove them at any time with rubbing alcohol or, even just a little hand sanitizer. (There is also a special formula of temporary tattoo remover available). We’ve been in the Temporary Tattoo business for over 20 years. Thus, we know a thing or two about what type of temporary tattoos people love. We ship millions of temporary tattoo sheets all over the globe each month. Additionally, we make all of our temporary tattoos in the good old USA. We also make all of our temporary tattoos with skin safe, FDA approved ingredients. We offer the best quality temporary tattoos, every day low prices, excellent customer service. Above all, we guarantee your satisfaction.